This video is a personal gift by Wolfgang Jung, one of the filmmakers of “Reise ins Unerwartete”, to BPH director Esther Ritman and BPH founder Joost Ritman. 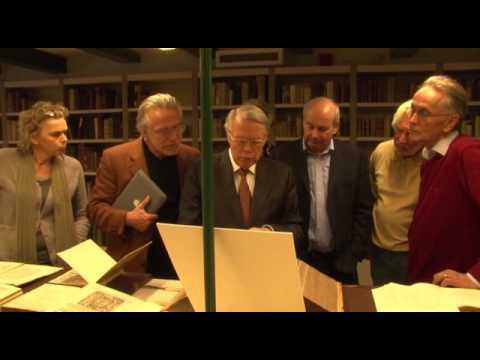 The video records the first visit which the advisory committee of the film “Reise ins Unerwartete” (Journey into the Unexpected) made to the BPH. A wonderful impression for anyone wishing to be introduced to the world of the Bibliotheca Philosophica Hermetica. The dvd ‘Reise ins Unerwartete’ can be bought in our webshop for € 19,50.